New mother, Yang Mi (杨幂), is currently resting and taking care of her daughter, nicknamed Little Sticky Rice, after giving birth earlier this month. Although father Hawick Lau (刘恺威) is unable to stay with his daughter in Hong Kong due to filming commitments, he expressed his love for his new family through his Weibo updates. 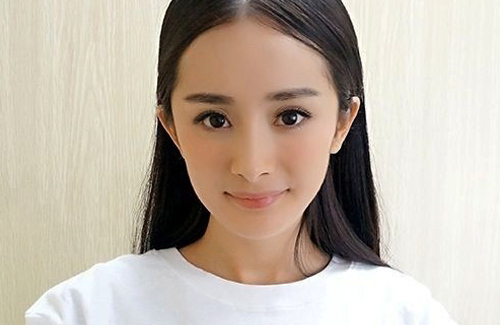 Though still resting, Yang Mi took time to speak with the mainland Chinese press about her thoughts on being a first-time mother. She did not feel anxious at all while waiting for the birth of her baby, and even had the energy to do some online shopping right before she was admitted to the hospital. Though Yang Mi said she faced her pregnancy calmly, she became extremely emotional when she held Little Sticky Rice in her arms for the first time. Both Yang Mi and Hawick cried together as they held their miracle together. Good. Little baby girl should be most important in her life. She’s pretty. But that picture makes her look a bit alienish.